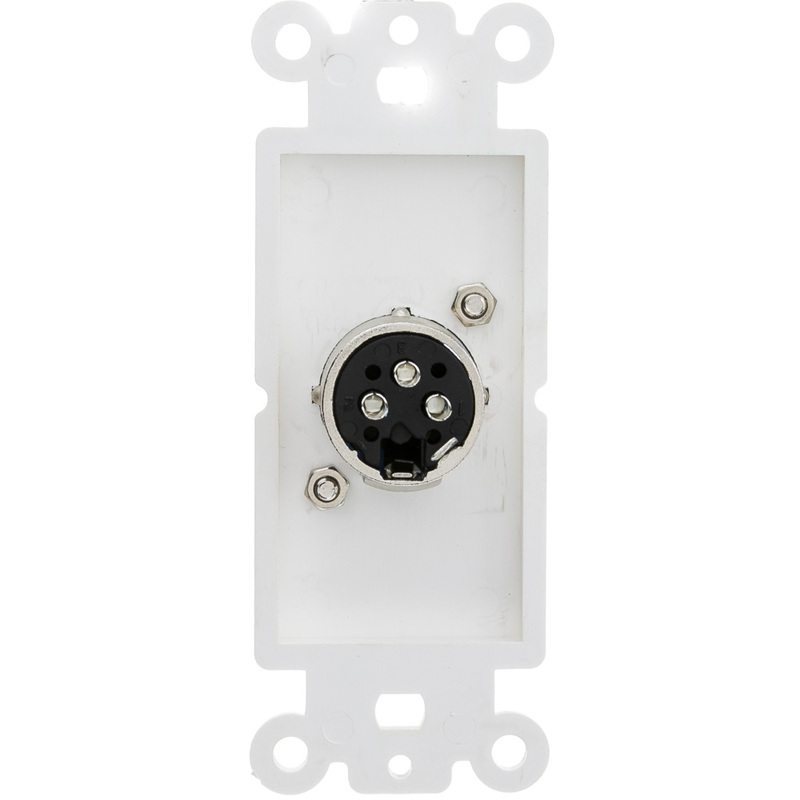 Cleanly bridge between in-wall cable runs and their origins or destinations. Our white decora wall plate inserts feature an XLR female port in order to convert in-wall wiring to transmit XLR audio to devices using XLR style audio inputs and outputs. The back of the XLR connection is solder based - this means that it will be necessary for you to solder your in-wall wiring to the decora wall plate connections. This product will provide a lifetime of consistent sound and quality, dependable use. 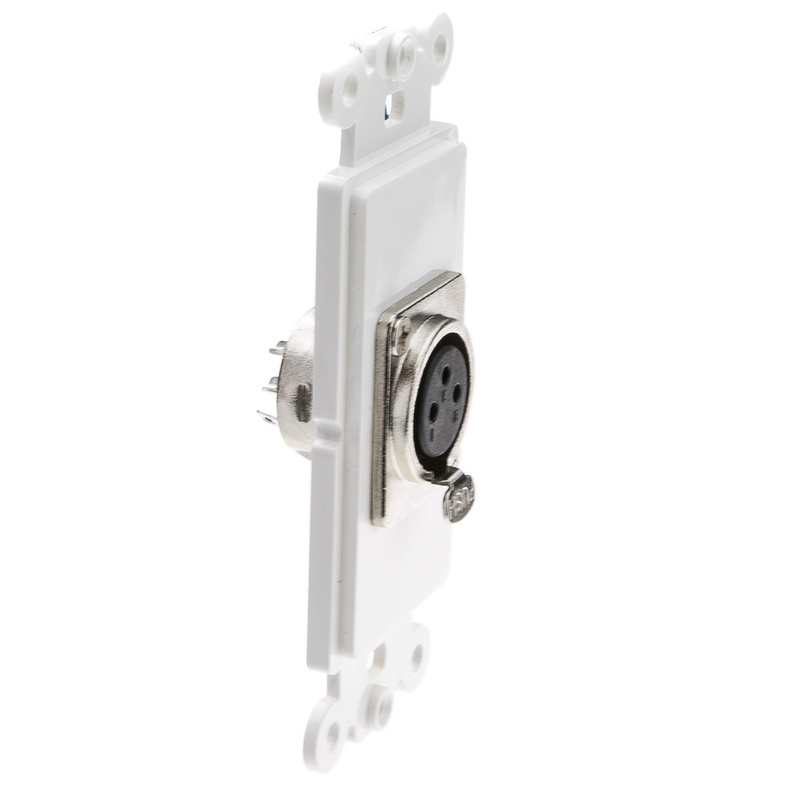 This wall plate insert is RoHS compliant and features a lifetime warranty.